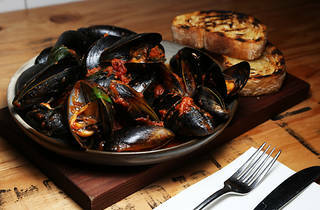 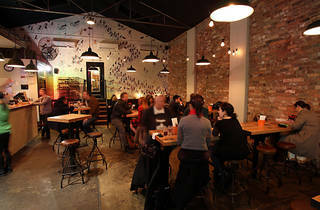 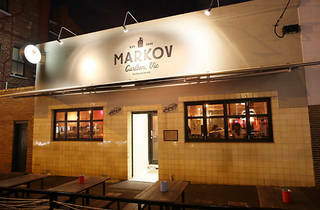 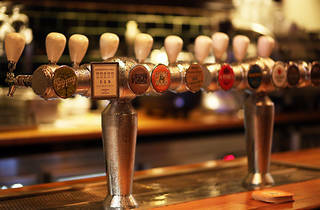 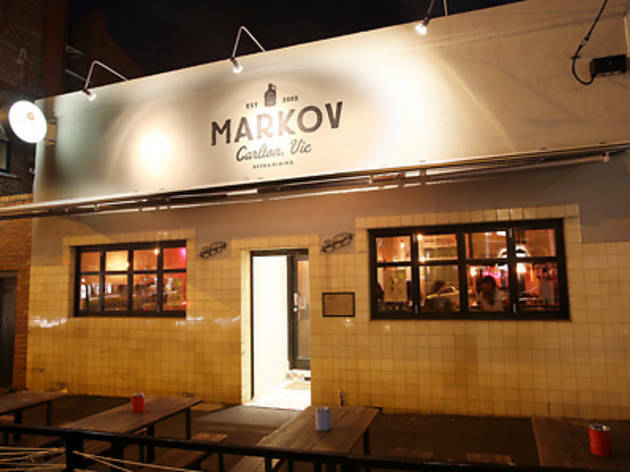 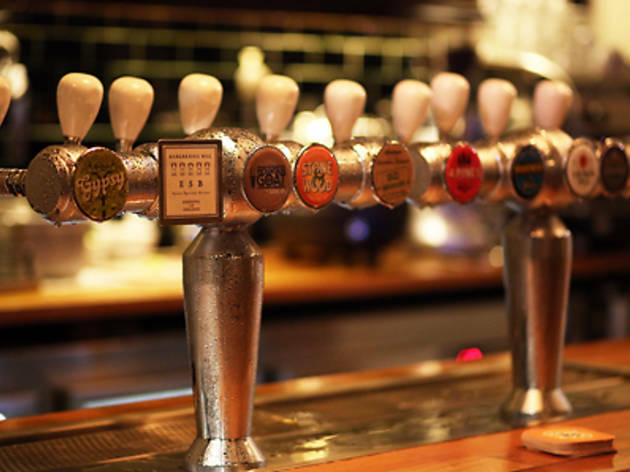 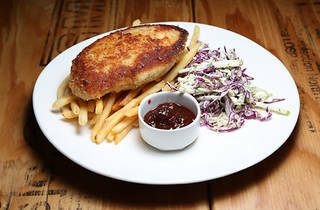 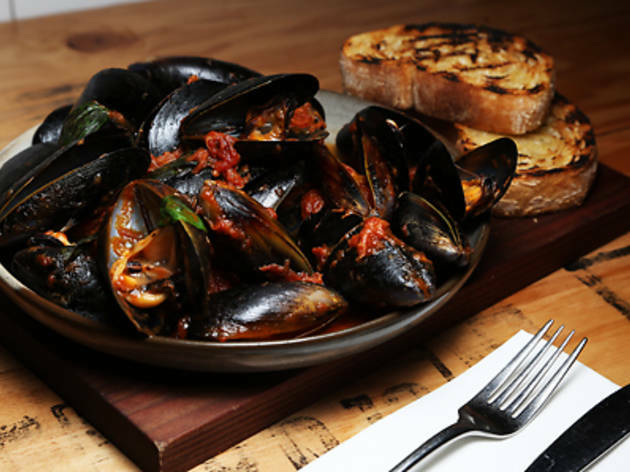 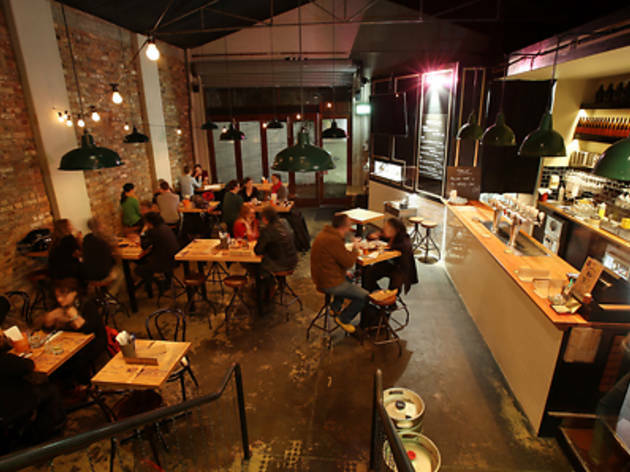 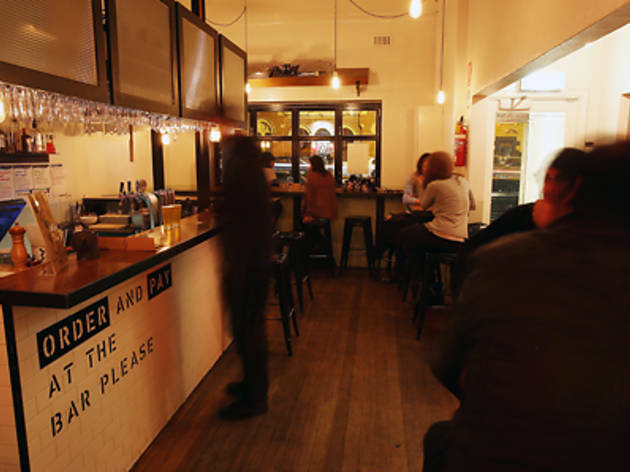 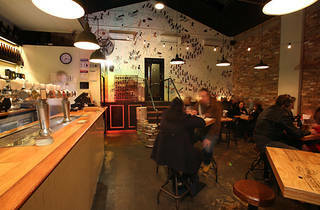 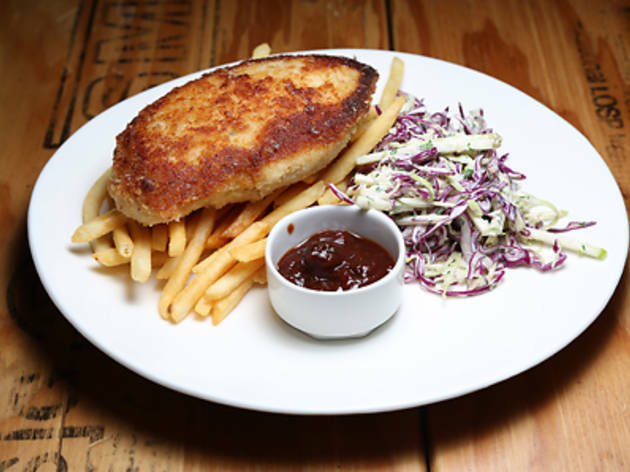 Tucked away off the busy Lygon St strip, Markov is a laid-back restaurant that suits a variety of nights out: from pre-movie dinner, a mid-week burger and pint, to a big Sunday spread from the share menu. 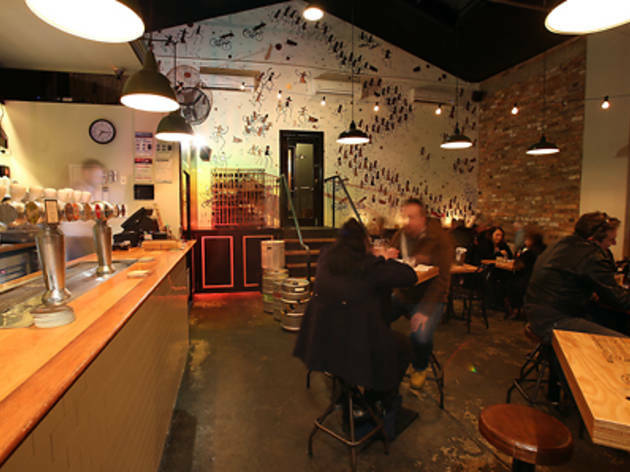 The list covers the classic grape varieties so you are sure to find something that pleases, and the selection covers a lot of local drops. 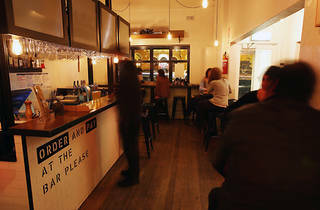 The bar is a maze of little areas all differentiated by the huge white walls. 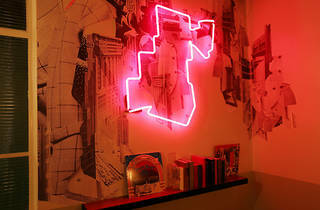 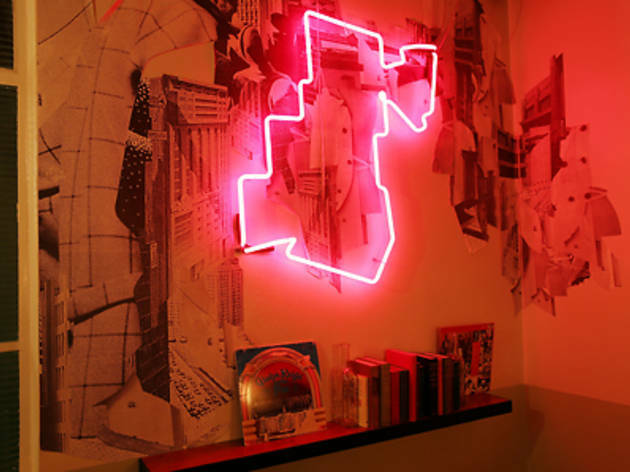 But with dim mood lighting, and a neon light wall installation you can hide out wherever you like. 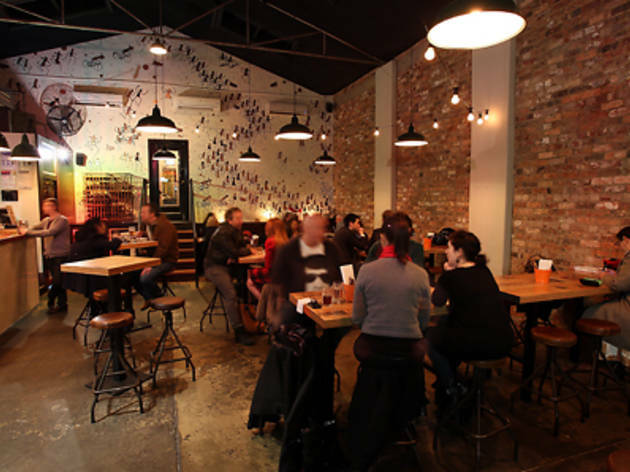 There are bar stools scattered for strategic people watching on a Sunday afternoon. 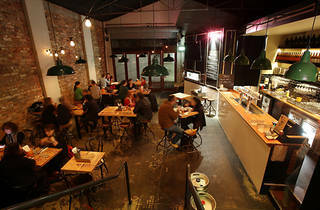 The outdoor tables are decked with large brollies.